Selling a Greater Bluffton Beaufort County SC area home involves many steps and having an experienced Greater Bluffton SC Real Estate Agent by your side will help you expedite the process and make the transaction run a lot smoother. I would be honored to be your Greater Bluffton Beaufort County SC Real Estate Professional! I assist both buyers and sellers in the Beaufort County area of South Carolina with either the purchase or sale of residential real estate. As a home seller in Beaufort County South Carolina, you’ll benefit from Steve Wallace Real Estate’s unique and proven marketing system. Our system includes all the key components available from Weichert Realtors® Coastal Properties marketing platform. It brings in buyers from all across America. Whether you’re selling a property located on plantation or in areas located off plantation, your property will receive the kind of exposure that leads to faster closings at better prices – freeing you to pursue your dreams. Plus, we make the process easy to get started by providing a free, no obligation consultation. As your Greater Bluffton Beaufort County SC listing agent, know that my associates and I are well versed on the local Greater Bluffton SC real estate market. Our specialty areas include Hilton Head Island, Sun City Hilton Head, Okatie, Bluffton/Off Plantation, Bluffton, Callawassie Island, Spring Island and Beaufort. When you are ready to list your home for sale you can expect personalized service. Top service includes a detailed consultation on how to best position your home to be competitive in today’s market with an in depth comparative market analysis, pricing strategy, and advice on staging. Additionally, if you plan on buying or selling a property in areas beyond Beaufort County South Carolina, know that we can help! Through our association with Leading Real Estate Companies of the World®, we have a top real estate professional ready to help you sell your home in areas throughout our continent, in different states, and in points around the globe. In a nutshell, Steve Wallace Real Estate and Weichert, Realtors® Coastal Properties are at your service for real estate world-wide. If you have a home to sell in New England, New York, New Jersey, Maryland, Virginia, North Carolina or other areas beyond South Carolina, contact us today! We can help and we have affiliations with top agents in all states including those states in the Northeast of the USA. 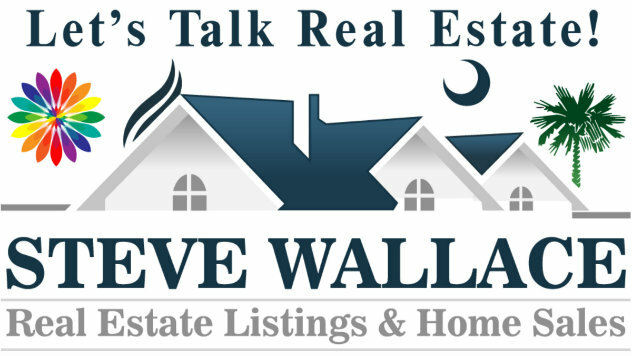 When you’re selling a home, contact Steve Wallace Real Estate and Steve Wallace, me. I utilize the latest and most up-to-date marketing methods to get your home in front of as many buyers as possible. I also use the best of traditional marketing plans. The combination of traditional and new technological marketing methods gives your Greater Bluffton SC real estate listing maximum exposure to a world-wide pool of home buyers. As a decade long South Carolina resident, USC graduate and full-time Realtor with Weichert Realtors® Coastal Properties, I bring years of helpful experience to assist you in the sale of your property. I have my finger on the pulse of Greater Bluffton Beaufort County SC, the local towns, neighborhoods, developments, and all facets of the real estate market. I’ve built long term relationships through advocacy, commitment and by careful listening, planning and attention to detail. I can help you locate top local real estate professionals for lending, legal, home inspection and insurance services. I provide an unpretentious, professional, friendly, straightforward and trustworthy approach. I believe in real service for real people. I am at your service for Greater Bluffton SC real estate. Being your Greater Bluffton SC area Realtor® in Beaufort County not only involves just finding the home or selling the home but being your guide, negotiator, advisor and advocate and making sure that your needs and goals are met. As your Greater Bluffton South Carolina Real Estate Agent, I understand the nuances of the local market, the finer distinctions between its submarkets and neighborhoods, and the impact that proper detailed information can bring to your real estate listing. Being your Greater Bluffton SC area Realtor® is one of my truest passions and helping you reach your local Beaufort County South Carolina real estate goals is my number one priority. Providing the very best service is essentially about putting my clients first. Please know that I am at your service for South Carolina real estate, areas beyond, and happy to assist you with Greater Bluffton Beaufort County SC real estate.We market real estate to sell!